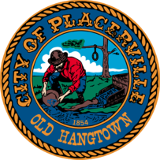 The Planning Commission consists of five commissioners appointed by the Placerville City Council. The Commission, working with the Director of Development Services, Staff and other City government officials, helps to guide and monitor the City's long-term planning and development. In this capacity, the Planning Commission reviews proposals relating to City design, land use, subdivisions, signage and environmental impact. The Planning Commission also makes recommendations to the City Council regarding amendments to the General Plan, rezoning requests, and other planning matters. The Planning Commission meets on the 1st and 3rd Tuesdays of every month at 6:00 p.m. at Town Hall. Meetings are open to the public. The Meeting packets that include the agenda, minutes and staff report(s) can be viewed on the Planning Commission Meeting web page. Planning Commission Meeting Procedure have been provided here for your information. For changes or upcoming meetings check the Council & Commissions calendar . To signup to received notification of or to request to be removed from the notifications on Planning Commission Meetings, Agendas, and Notices of Public Hearings " Click Here "
The Planning Commission conducts its official business subject to Bylaws that were established and adopted by the Planning Commission. The Bylaws govern the performance of the Planning Commission's duties and to inform the public of the nature of the Planning Commission's internal organization, operations and other related matters. The Planning Commission Bylaws may be viewed here .